Marriages are Like Planes. Divorce is Like a Water Landing. On Sunday night, I watched the movie, Sully. For those unfamiliar, the film chronicles the story of (and the story behind) the US Airways plane that made an emergency landing in the Hudson River in January 2009. Chesley “Sully” Sullenberger was the captain of that airplane. It was his expertise and quick thinking that saved the lives of those on board. To those on the plane, those in the media, and those watching at home, Sully was a hero. But his heroism didn’t come without criticism. Industry experts dubbed the incident a “crash,” while Sully insisted it was a “water landing.” Those experts continued to ask questions. They read data. They used computers to simulate alternate outcomes. According to the Monday Morning Quarterbacks, Sully took an unnecessary risk. He could’ve and should’ve taken the plane to an airport. But, as the movie showed, cold hard facts are only part of the equation. Those who weren’t there didn’t truly understand. They didn’t account for the humanity of the situation. Before recovering the plane, their data could only provide a fraction of the story. Indeed, if Sully had done what they’d suggested, lives would have been lost. The water landing, though not ideal, was the most appropriate course of action at the time. 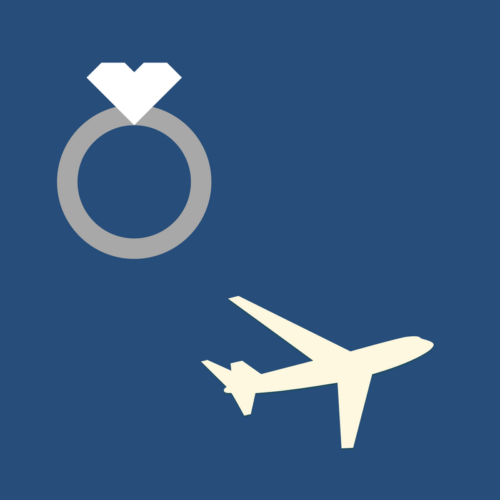 In a way, marriages are like planes. Those in the cockpit can steer them in a variety of directions, to a variety of heights. But there are external factors at work too. Sometimes pilots have to stop for repairs. And sometimes, for whatever reason, it becomes necessary to make a water landing (divorce) as opposed to crashing and burning. And, like Sully, marital pilots will wish things had gone differently. Yet they will argue their common defense: those who weren’t there can’t possibly understand. Divorce is like a water landing. It’s not ideal. It’s uncomfortable for everyone. Injuries happen. But there are times when it’s necessary. There are times when the alternative is far more horrific. Luckily, there are those who will rush in to help. There are those who will listen and those who will comfort. And for the pilots and passengers, they can find healing… perhaps they might also find gratitude, celebration and a new kind of bond between themselves. Posted in divorce, marriage and tagged airplanes, decisions, divorce, experts, family, pilot, sully, water landing.